At a time when suicide is the biggest killer of men under the age of 50, Unite believes on Time to Talk Day today (February 7) that it’s especially time to talk about men’s mental health. 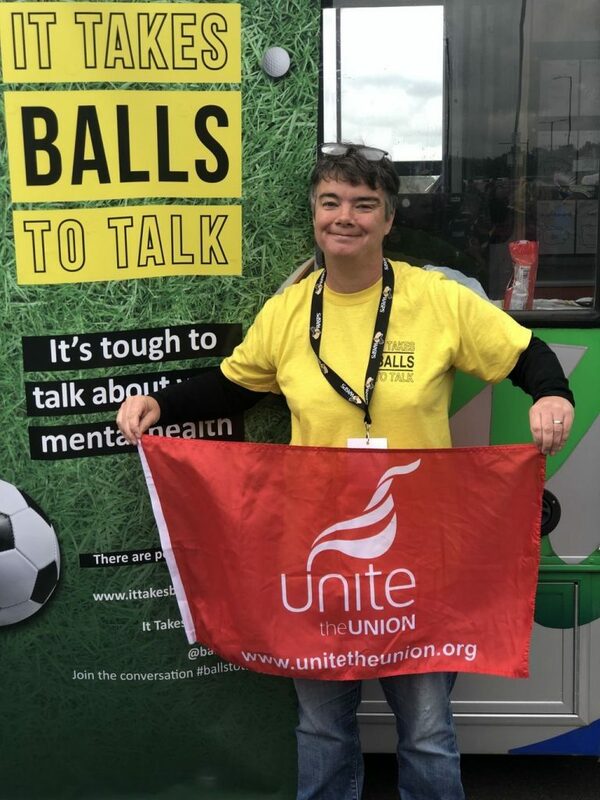 That’s why today Unite is promoting It Takes Balls to Talk, a men’s mental health initiative founded three years ago that’s gone from strength to strength in helping men overcome the stigma associated with opening up about their feelings. 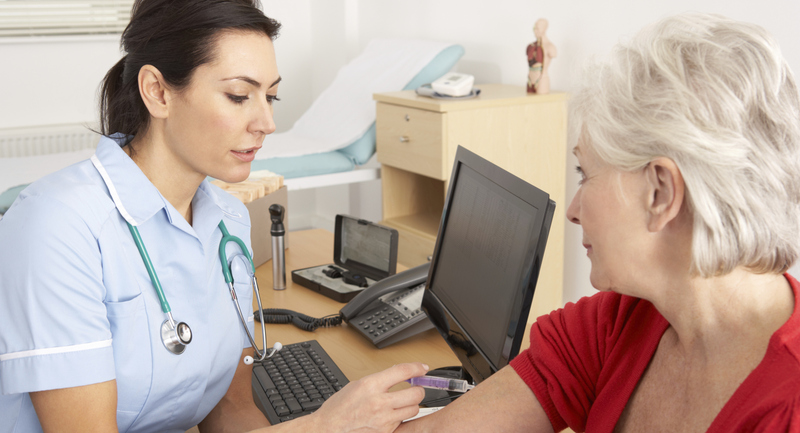 The campaign is the brainchild of Unite member and mental health nurse Alex Cotton, who last year received an MBE for her work. It was on the job in her role as a part of the street triage team that she was inspired to create the initiative, Alex told UniteLive. “In street triage we work with the police and the police would ask us after they’d encountered men who’d taken their lives whether they were known to mental health services – 75 per cent of the time they had had absolutely no contact at all,” she said. As Alex day in and day out bore witness to the reality behind shocking male suicide statistics, it was at a football match she attended in 2015 that the idea came to her. And so the strapline and campaign ‘It Takes Balls to Talk’ was born. It Takes Balls to Talk uses sporting themes to encourage people, particularly men, to talk about their feelings and mental health problems. The campaign group trains volunteers who go to sporting events such as football and rugby matches to break down the barriers that men so often erect in caring for their own mental health — by simply listening. Alex developed her idea with the help of Coventry and Warwickshire Partnership NHS Trust and now the campaign has partnered with a variety of organisations including Unite, Samaritans, Mind, a number of football clubs and others. With Unite’s support, the campaign has gone into male-dominated workplaces such as Rolls-Royce and Jaguar Land Rover to encourage men to open up. It may come as a surprise to some that Alex, a woman, has become a passionate advocate for men’s mental health – but she doesn’t see it that way. Workplaces are an important frontier for It Takes Balls to Talk and men’s mental health initiatives in general — this is where trade unions like Unite can play a vital role, Alex explained. “Unions are at the forefront of the biggest risk group when it comes to suicide and mental health –working age men. This becomes doubly pertinent when men lose their jobs or have problems at work. Alex thanked Unite for all the support it has given, without which she said It Takes Balls to Talk would not be the success it is today. On Time to Talk Day today, Alex will be busy as ever – part of her day will be spent providing a training session to Conventry City FC. It’s a tall order to be sure, but as Alex highlighted, the smallest things – a simple conversation – can be the lightning rod for a movement that has a massive impact. Find out more about It Takes Balls to Talk and how you can help here. Need to talk to someone now? Here’s a list of resources.